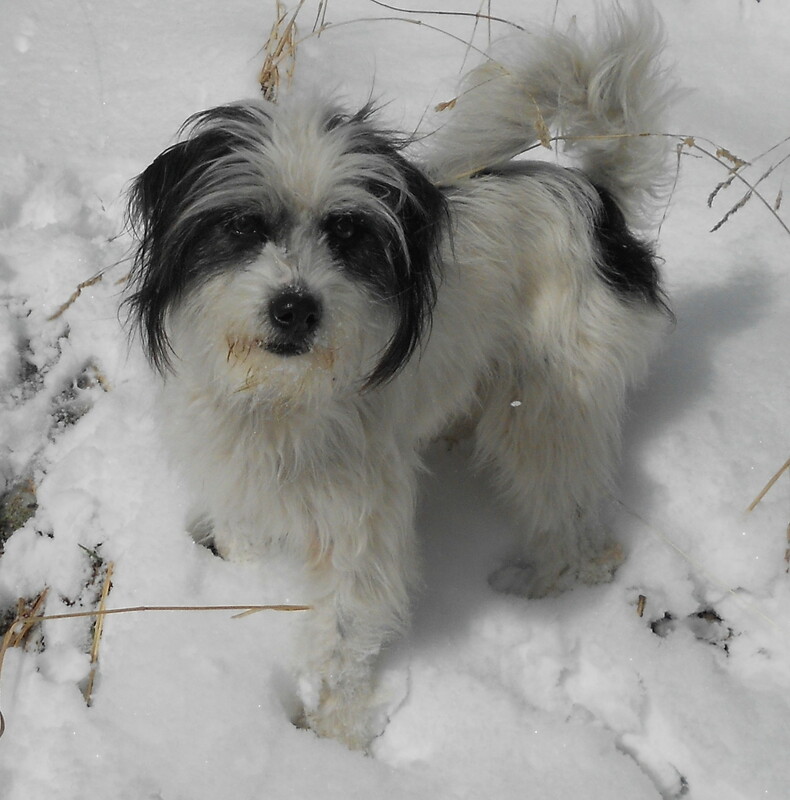 Snow II (mCTCA #3400, health test passed in 2013) is a black and white tall coton. Hiking is her favorite activity…she leaps from rock to rock effortlessly! She is our son Silas’ dog. He showers her with affection and love. We think that this may be why in the summer of 2016, she had a litter of nine puppies. That is a mCTCA record! She is an incredible mother. She has one or two tall cotons in her litters, and her puppies are mostly black and white. Her puppies are always very well-balanced and fun.